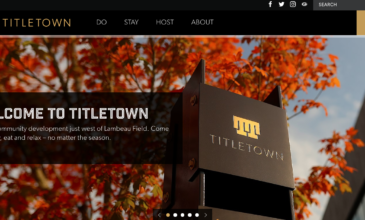 In late November, Hero Digital unveiled the brand new Titletown website, which promotes the recently launched Titletown District community just west of Lambeau Field in Green Bay, Wisconsin. Opened in September 2017, Titletown’s unique location is the perfect place for community members and visitors to play, stay, eat, relax and enjoy, no matter the season. 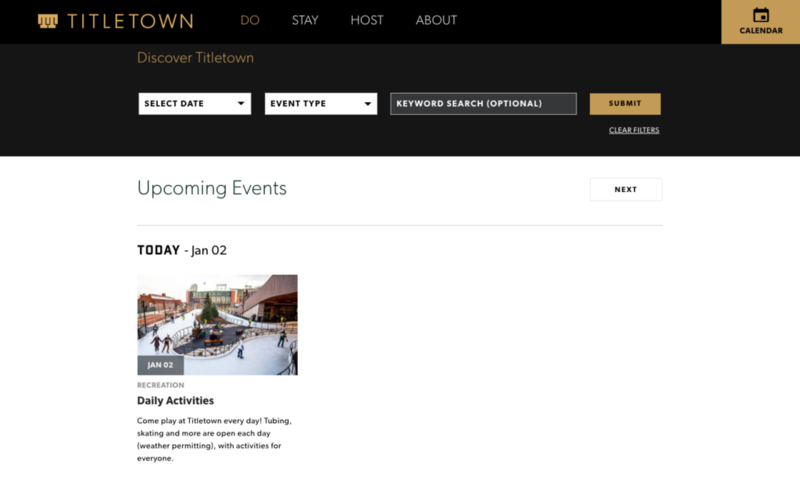 Featuring a large public park with outdoor games, fitness activities and a winter skating rink and tubing hill in the heart of the action, Titletown also includes the four-diamond hotel Lodge Kohler, Bellin Health Titletown Sports Medicine and Orthopedics Clinic, and Hinterland Restaurant and Brewery. With so much to offer Green Bay and the surrounding area, the marketing team at Titletown wanted to really emphasize the heavy calendar of events happening at the center all year long while driving awareness and excitement for the newly launched brand. 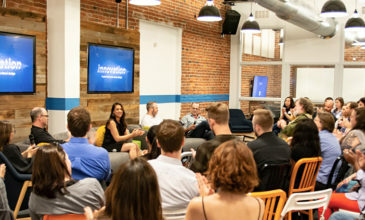 They turned to the folks at Hero to help bring their vision to life. 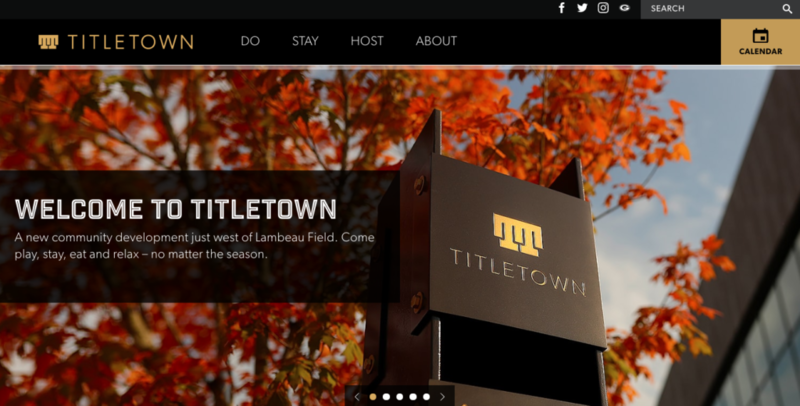 Built on experience management software Sitecore, the Titletown site is designed to showcase the brand and encourage visitors to learn more about the community, while portraying the center as a vibrant, authentic, unique and family-driven civic district with something to offer everyone. To accomplish this, the Hero team built a robust calendar with filtering and tagging that also feeds into other relevant pages of the site to highlight the wide range of activities and happenings occurring across the district year-round. 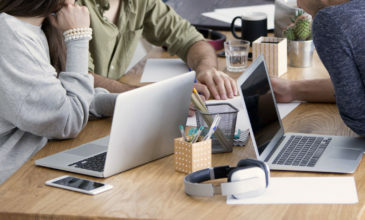 With a dual audience of B2B and B2C consumers, the goal of the website is to cater to the needs and interests of all of the different types of visitors it will attract. From Packers fans in the area on game day to Green Bay locals or tourists looking for a night or day of entertainment with family and friends to potential future Titletown vendors and employees, everyone will find exactly what they’re looking for on the easy to navigate site with clearly distinguishable areas marked “Do”, “Stay”, “Host”, and “About”. This project’s goal of building awareness and increasing audience reach will be expanded in future phases by adding online booking and e-commerce activities. As the community grows, Titletown District will continue to maximize its unique location to attract more visitors to the area, spur additional regional economic growth, offer new amenities to residents, and complement the greater Green Bay area’s draw as an excellent location to live, work, shop, dine, collaborate, and play. See more of our customer stories here.